The Coast Guard estimated that the haul was worth $62.5 million. The post Coast Guard Unloads 7 Tons of Seized Pot in Florida appeared first on High Times. 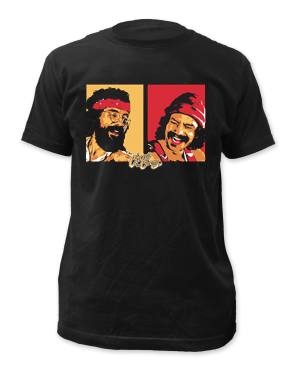 A men’s soft fitted 30/1 cotton tee featuring a Cheech & Chong graphic printed on front. Good morning class, the first day of my summer vacation, I got up and hung out with this beautiful 12” Tall Water Pipe! The donut hole in the middle swirls air coming up from the beaker base. When your friend is freaking out from too much THC, what can you do? Plenty. Experts and amateurs tell us what works. The post How to Help a Friend Who Got Too High appeared first on Leafly. Time for some groovy, animated stoner education. The post The Animated History of 420: Our Video of the Week appeared first on High Times. The post 420 Vancouver is still a Protest – 12 Reasons : Dana Larsen appeared first on Cannabis News | Marijuana News | Medical Cannabis News. One half of the stoner-hippie comedic duo Cheech and Chong, Richard “Cheech” Marin has become perhaps one of the most well-known and respected Chicano achievers in the world of entertainment. As an actor, director, writer, musician, art collector and humanitarian, Cheech is a man who has proven that he has the intellect and wit to make a simple smile appear in any situation. At the side of his partner Tommy Chong, he enjoyed immense off-color comedic success in the 1970’s before moving into a diverse range of roles, having appeared in more than 20 films, including Spy Kids, Tin Cup, and Once Upon A Time In Mexico. His television credits include co-starring with Don Johnson in the popular CBS drama, Nash Bridges, a recurring role on the hit series Lost, and a guest appearance on Grey’s Anatomy. His latest films include The Perfect Game (Lions Gate Entertainment); Beverly Hills Chihuahua and Race to Witch Mountain (Walt Disney Pictures); and The Miracle of Dommatina (Hallmark Channel). Marin has also become a well-known collector of Chicano art, and is thought to own one of the more prevalent private collections. Much of it formed the core of his traveling exhibition Chicano Visions: American Painters on the Verge, which broke attendance records during its groundbreaking 15-city tour during 2001-2007 to major art museums across the United States. Selections from his collection can also be seen in his Los Angelenos/Chicano Painters of L.A., an exhibition on view at LACMA in Los Angeles, now through November 2, 2008. A third-generation Mexican American, Cheech has received numerous awards for his work on behalf of Latinos, including the 2000 Creative Achievement Award from the Imagen Foundation and the 1999 ALMA Community Service Award from the National Council of La Raza and Kraft Foods. In 2007, he received an honorary Doctorate of Fine Arts for his contributions to the creative arts from Otis College of Art & Design in Los Angeles, and received the inaugural Legacy Award for Arts Advocacy from the Smithsonian Latino Center. He serves on the boards of the Smithsonian Latino Center and the Hispanic Scholarship Fund. Making history this year, Richard “Cheech” Marin and Tommy Chong revitalized a comedic alliance that had since been dead in the water. The duo regrouped at the world-famous Troubadour in L.A. and announced their first tour in over 25 years! Grammy Award winning comedian Tommy Chong is legendary for his invaluable contribution to American counter-culture as part of the iconic comedy duo Cheech & Chong. During their reign, the twosome recorded six gold comedy albums, including the 1973 Grammy winner “Los Cochinos,” and starred in eight films, most of which Chong co-wrote and directed. The first, Up In Smoke, was the highest grossing comedy of 1978, topping $100 million at the box office. Others were Cheech and Chong’s Next Movie (1980), Nice Dreams (1981), Things Are Tough All Over (1982), Cheech and Chong: Still Smoking (1983), and The Corsican Brothers (1984). Born in Edmonton, Alberta, Canada, Tommy began his entertainment career as a musician in a Canadian-based rhythm and blues band. Eventually, he landed a gig with the “Vancouvers”” and co-wrote the band’s 1960’s hit, “Does Your Mama Know About Me.”” From here, Chong eventually turned towards the life as an actor. The first step was forming “City Works,” an improvisational group where he consequently met his future comedic partner, Richard “Cheech” Marin. Throughout the 1970’s Cheech & Chong earned a massive following until eventually, the duo had run its lengthy and prosperous course and they both embarked on solo careers. Tommy has appeared in several films including 1990’s “Far Out, Man!”” and “National Lampoon’s Senior Trip” (1995). 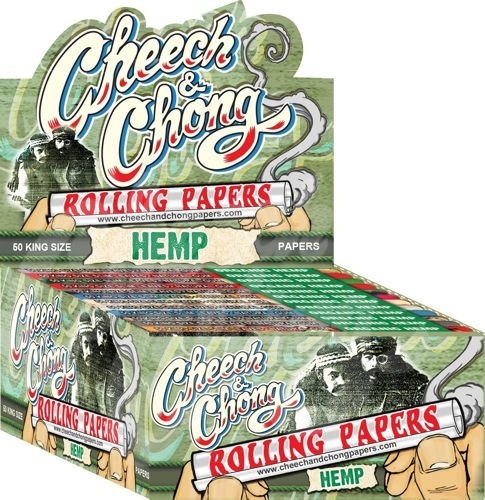 Chong has also starred, most notably, as “Leo” on Fox’s “That 70’s Show,” and has guest starred on ABC’s “Dharma & Greg” and “The George Lopez Show.” Chong recently released his new book entitled Cheech and Chong: The Unauthorized Autobiography about the exploits of the infamous duo’s smoke-filled world. This book serves as a follow-up to his New York Times Best-Seller The I Chong: Meditations from the Joint which chronicles Chong’s arrest for shipping bongs across the country as well as his days in jail and the humorous encounters of his 9 month prison stint. Earlier this year, the highly anticipated, award winning documentary A/K/A Tommy Chong was released worldwide. The documentary features the journey that Chong took after a fully armed SWAT team raided the comedian’s home in February of 2003. Tommy Chong was sentenced to 9 months in federal prison for conspiracy to manufacture and distribute drug paraphernalia through “Chong Glass,” a family business specializing in handmade glass water pipes, or “bongs.” Making history this year, Tommy Chong reunited with his old comedy partner, Richard “Cheech” Marin to announce their first tour in over 25 years with Shelby Chong opening the show. 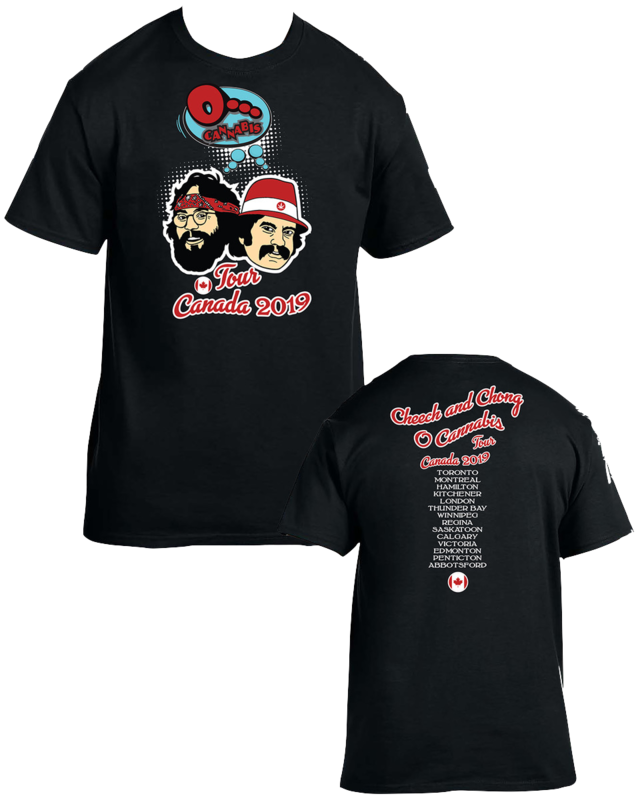 The “Cheech & Chong: Light Up America & Canada” tour has proven to be one of the most successful comedy tours of the year, selling out multiple shows from coast to coast. Cheech & Chong are a Grammy Award – winning comedy duo consisting of Richard “Cheech” Marin and Tommy Chong who found a wide audience in the 1970s and 1980s for their films and stand-up routines, which were based on the hippie and free love era, and especially drug and counterculture movements, most notably their love for cannabis.